Optimising your product page is one of the best ways to increase the conversion rate of your shop. Each site is different, of course, but you usually see that you can grow faster by improving your product page than by improving your home page or category page (which obviously does not mean you cannot make any improvements there). 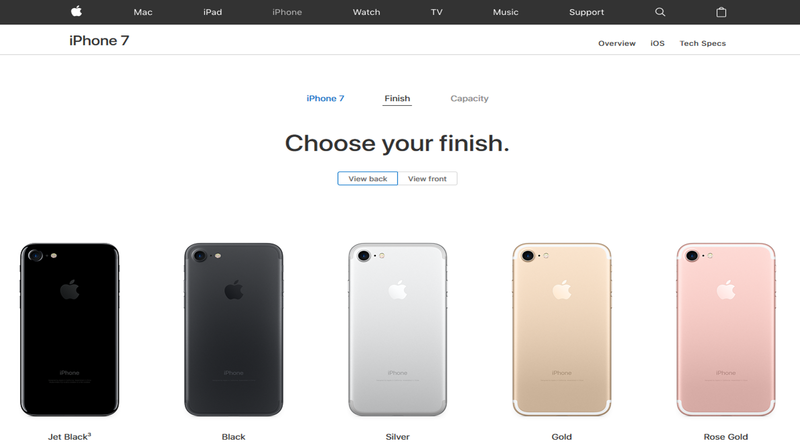 But how do you start optimising your product pages, and what should you look out for? Some do’s & don’ts …. Click maps and scroll maps: Where do your visitors click? Do they click on elements that are not clickable? How far do they scroll? Is there any important info below the point where they scroll to? User testing: Give some users a number of assignments they need to complete on your site and have them comment aloud. This will give you very useful insights. With 5 to 10 user tests, you will usually expose the biggest problems. Visitor recordings: With tools like Hotjar, for example, you can view your visitors’ sessions. To be clear, you will not see who is on your site (it’s completely anonymous), but you can see their mouse movements. Visitor recordings can be particularly useful for learning about your visitors. If you do not really know what you’re looking for, you can spend hours and hours staring at visitor recordings without really learning anything. But if you know what you want to learn, it can be very useful for confirming or refuting certain suspicions. Live chat: Look at your live chat transcripts. Which products do your visitors have questions about? And what do they ask? Are there any questions that keep coming up? 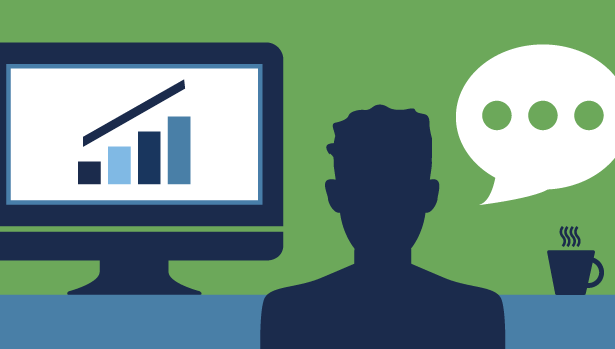 Use those insights to further expand the information on your product page. This will not be a waste of time. Research has shown that approximately half of all purchases are not completed due to lack of information. No live chat on the site? Talk to your colleagues from customer support. They are in contact with your site visitors daily and have a good idea of what questions keep coming up. 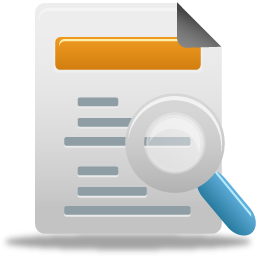 The research above will give you a fairly clear picture of what can improve on your product pages. But in addition, an expert review can reveal additional points. Before we begin, a side note: an expert review is not flawless. With an expert review, an expert will examine your product pages based on conversion optimisation, usability frameworks and best practices. But best practices are not always conclusive. They do not always work for all sites. For example, we once set up an A/B test on a product page with 3 different customers. The same test 3 times. The result? On the first site, the variation won by 38% – a huge difference! On the second site, however, the variation lost by 30%. And on the third site, there was no statistically significant difference. This clearly illustrates that what works one site will not necessarily work on another site. That being said, an expert review is still valuable. But try, as far as you can, to refute or confirm as many points as possible from the expert review, based on what you find in the research. For example, if you see in a visitor recording that a certain point from the expert review is confirmed, you can be pretty sure that this item is problematic. After the research and the expert review, you can go one of two ways. If you do not have enough traffic and transactions for testing, you should simply implement the solutions to the issues you’ve discovered. If you do have enough traffic and transactions for testing, then it’s better to test. That is, after all, the only way to be 100% certain that the solutions to the issues you’ve discovered contribute to higher sales. Provide sufficient information. As mentioned earlier: Research has shown that 50% of all purchases are not completed due to a lack of information. That’s gigantic. Make sure that you provide all the information a visitor needs to be able to convert. Because if you do not give enough information, a level of uncertainty remains for your user, and he simply cannot convert. Your copy must be convincing. Your copy takes over the role of a seller in the store. A seller in a store who only summarises features will not sell much. The same applies to your product pages: if you do not write convincing copy, it reduces the chance of a conversion. Do not limit yourself to features. Features are important, but do not limit yourself to them. It is important that you translate them as much as possible into ‘benefits’. In other words, explain what the benefits of the features are for your customer. Enough good-quality pictures. That seems obvious, but I still often see things go wrong here on ecommerce sites. In a physical store, your customer can touch the product. On your site, your photos have to try to simulate that experience as much as possible. Which means that your photos not only have to be professional (to make the product attractive), you also need pictures from all possible angles and to provide enough close-ups. 360° photos and/or product videos simulate the experience of the physical product even better, so if that’s feasible for you, then do it. The photos are zoomable. Here again: Your photos should simulate the experience of the physical product as much as possible. Zooming is very important here. Add reviews and ratings. Research has shown that 84% of online shoppers trust reviews as much as personal recommendations and that shoppers usually read 4 to 6 reviews before they decide. It’s really quite simple: reviews help get your visitor across the finish line. Do not use fake reviews. They will make you look unreliable. Don’t do it. Add negative reviews as well. Although you do not want to exaggerate this, negative reviews are not necessarily a bad thing: a negative review amid several positive reviews makes it more authentic and credible. A ratio of 1 negative for each 9 positive reviews is certainly acceptable. Let your visitors score the reviews. Is it a helpful (thumbs up) review or not (thumbs down)? If you have many reviews, add sorting options, e.g. from high to low or vice versa. From most helpful to least helpful etc. If you have multiple versions of 1 product (e.g. multiple colours or sizes), then show them all. If a particular version of your product is temporarily unavailable, make sure that is immediately clear. You want to avoid the customer adding that version to their shopping cart and then discovering in the shopping cart (or worse yet, in checkout) that the version is not available. That creates a lot of frustration and increases the chances that your visitor drops out. 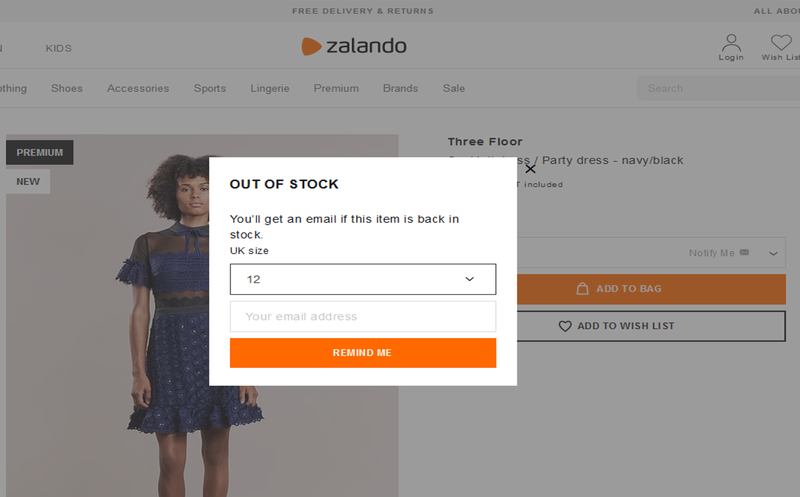 If an item is unavailable, offer your visitor the option of leaving his email address so you can inform him when the item is back in stock. If you sell expensive products and you can pay in installments or afterwards, make sure this is clear on the product page. If you do not mention that until checkout, it may be too late. 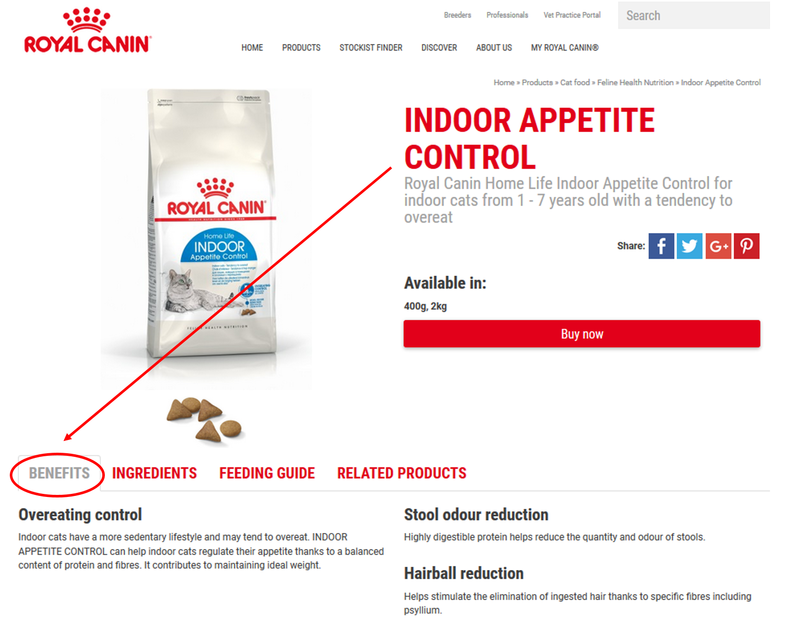 Also show similar/recommended items on your product pages. 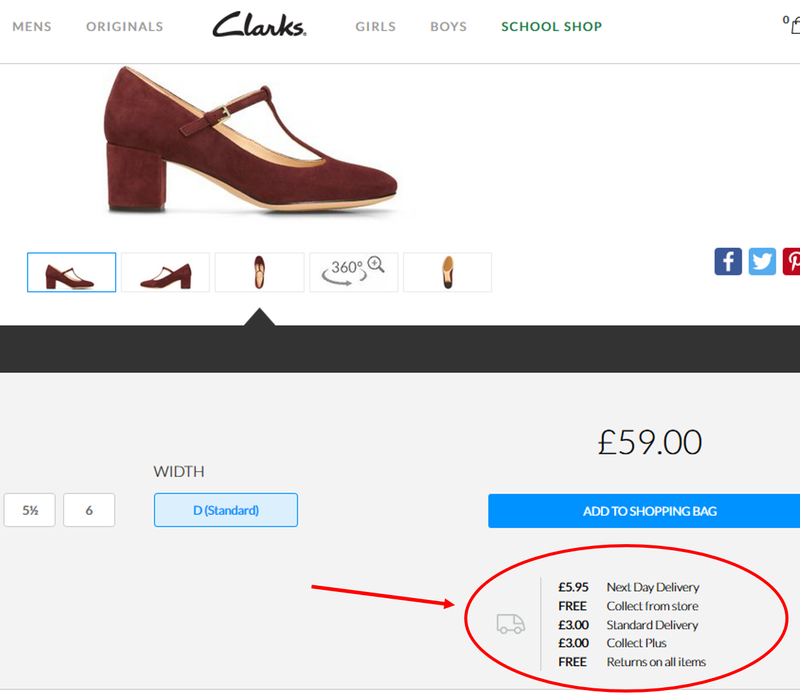 Add ‘Recently Viewed’ Items to the product page: many visitors expect it, and for some, it’s a handy way to navigate. If you charge shipping costs, they should be clear on the product page. If shipping is free, that should also be clear. Remove the social media buttons. Yes, I know, you think your products are the best in the world. But fair is fair: how often have you shared a product from an ecommerce site on social media? Probably never. Unless it is really an exceptionally cool product, do not expect your visitors to do that. The social media icons are just distractions. And more: if you add a ‘counter’ (‘x people like this’), then you are shooting yourself in the foot. Because ‘0 people like this’ is definitely not convincing social proof … Do you want to encourage social media sharing? Then your ‘thank you’ page after the purchase is the best place. Make it clear on the product page which payment methods you accept. That can be at the bottom in the footer, but it can also be useful to test this against a version in which you place the payment logos higher in the visual hierarchy. Make it clear when the product will be delivered, whether you have free returns and what the warranty period is. The button is big enough and has enough white space around it. 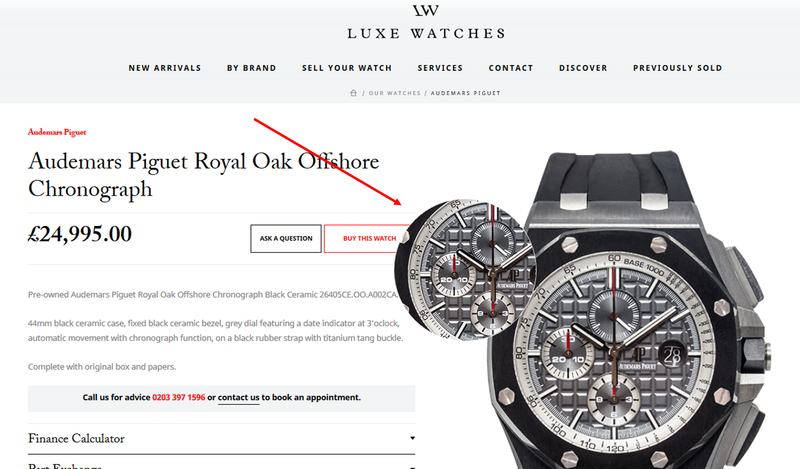 The Most Wanted Action (MWA) for your product page is that your visitor adds something to his shopping cart. Or, in other words, you want them to click on the button. So don’t be too modest with your button, make it big enough. And give it enough white space. That way it stands out even more. The button is in a contrasting colour. OK, the classic, what works best: a green button or a red button? The answer: neither and both. It just depends on the overall colour scheme of your site. If your site is predominantly red, then a red button will not stand out, while a green one will. If your site is predominantly green, then a red button will stand out better. You don’t even have to test this, choose a contrasting colour for your button so that it stands out better. Done. There are certainly other things you need to evaluate on your product pages, but if you start with the list above, you’ll get a long way. And if you cannot manage all of it or need help, feel free to contact us.